Listed in the Guinness Book of World Records as the “most-represented movie character,” Sherlock Holmes is certainly no stranger to adaptations, currently being played on the big and small screen by actors such as Benedict Cumberbatch, Jonny Lee Miller and Robert Downey Jr. Yet, earlier this summer, “Mr. Holmes,” proved that that the best way to breathe new life into the legendary detective was in fact by portraying him nearing death. 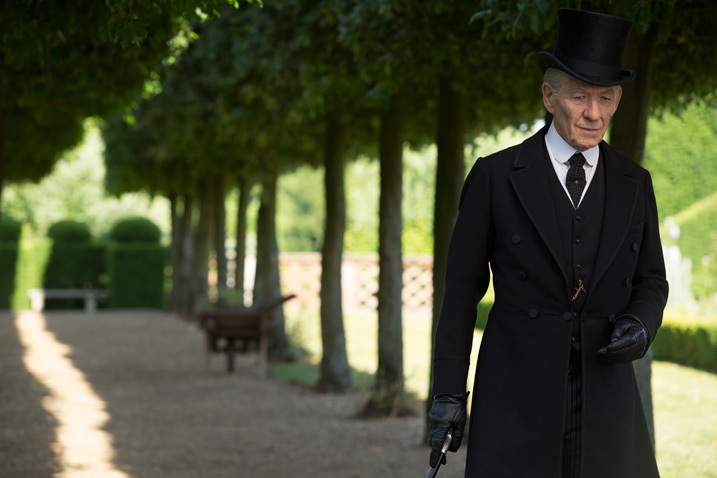 Directed by Bill Condon, and starring the formidable Sir Ian McKellen, the fresh spin on the familiar character sees the eponymous detective, perhaps one of the least introspective of all literary heroes, challenged to look back on his life in his old age and face mortality. Upon its release in July, “Mr. Holmes” found success as a rare independent film that went up against the summer blockbusters and not only found critical acclaim, but also performed exceedingly well at the box office. Based on the 2005 novel, “A Slight Trick of the Mind” by Mitch Cullen, “Mr. Holmes” grounds the larger-than-life figure in reality through its conception of Holmes as a 93-year-old man, who after years of isolation finally comes to terms with his own life, the same life endlessly embellished by his late partner, Dr. Watson. While Holmes attempts to unravel the one mystery that caused him to abandon his vocation and now eludes his memory in his old age, it is the bigger mysteries at play — mysteries of human nature, loneliness and regret — that linger the longest. At a luncheon held in the film’s honor yesterday at the Lotos Club, a literary club on the Upper East Side, director Condon and stars Sir Ian McKellen and Laura Linney participated in a half-hour chat with The Hollywood Reporter’s Scott Feinberg about deconstructing the literary hero and telling a Sherlock Holmes story that had not been told.